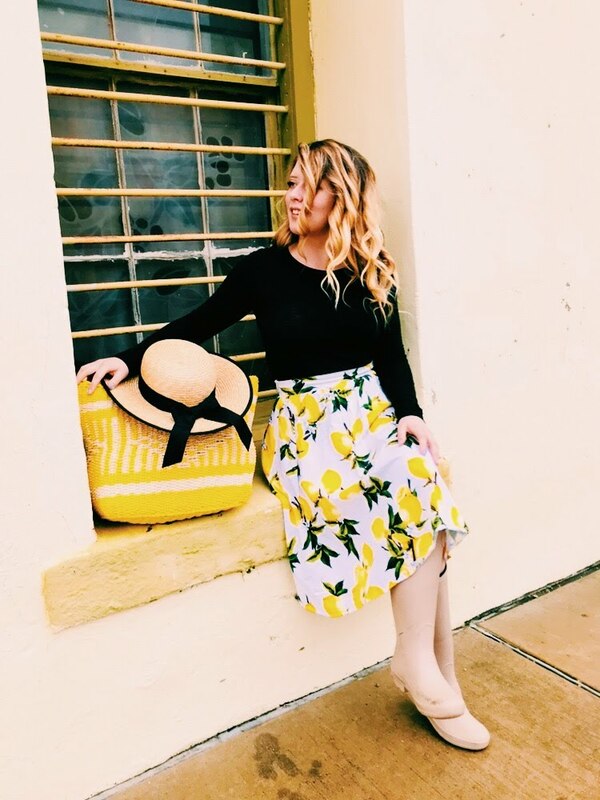 Last week it was so dreary and rainy I decided to brighten things up with this adorable lemon skirt! 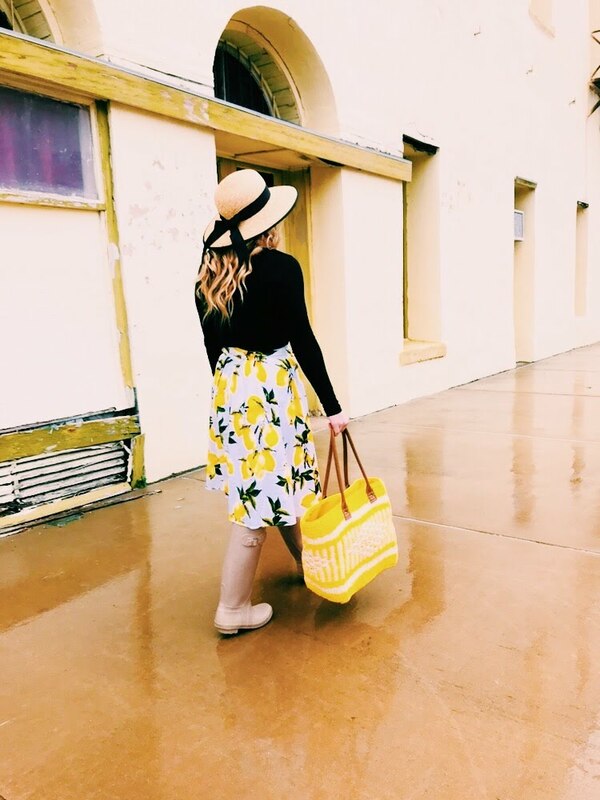 Sometimes a fun color like yellow or red really stands out on a gloomy day. 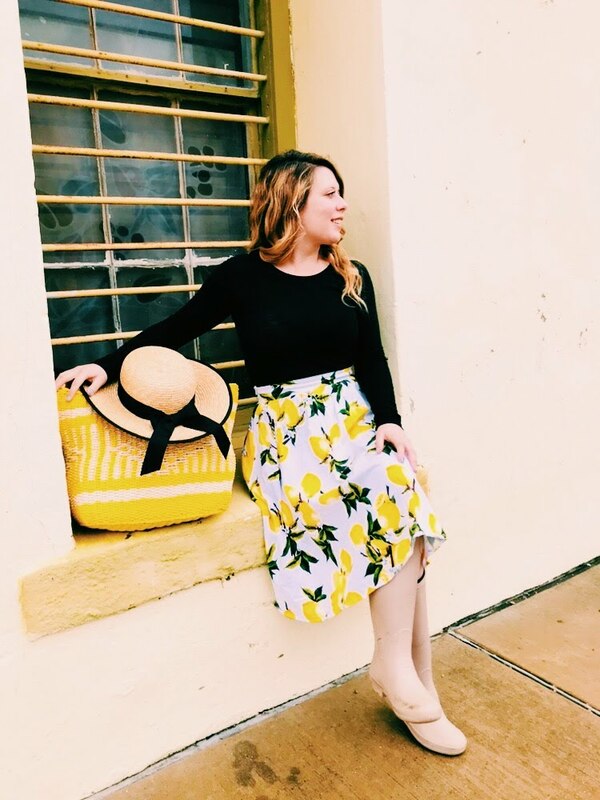 I am obsessed with lemons right now and will be showcasing a few other pieces soon on the blog. This skirt will be a nice transition into the Spring and Summer when I add a pair of sandals and white tank top. 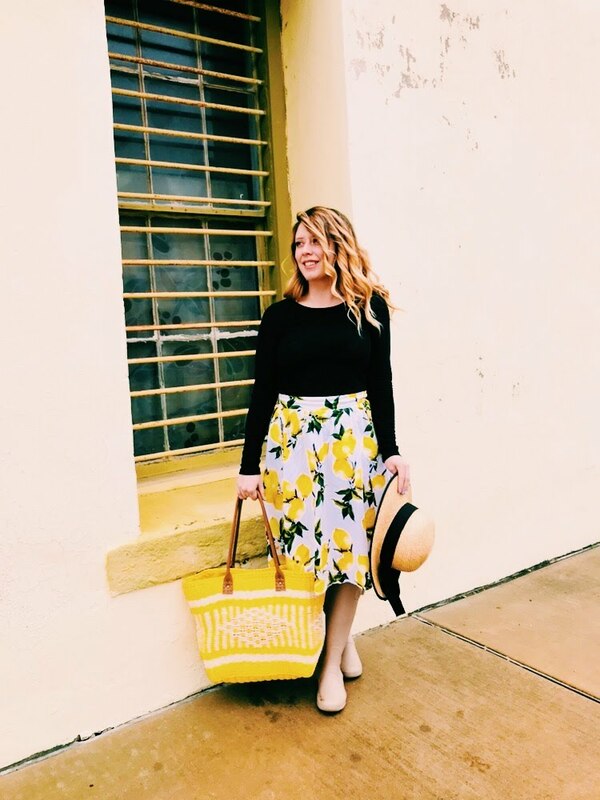 It's about this time of year I start rotating things from Winter out of my closet and pull out my favorite Spring pieces. It rains so much here during the Spring and early Summer that my rain boots are always handy. I have a couple of pairs from a tan to red and love the way they look with a skirt. I also pulled out this brightly colored straw tote. Straw totes are a staple item being perfect for shopping or even used as an overnight bag. And then there's of course my favorite way to wear them and that includes the beach or the pool. 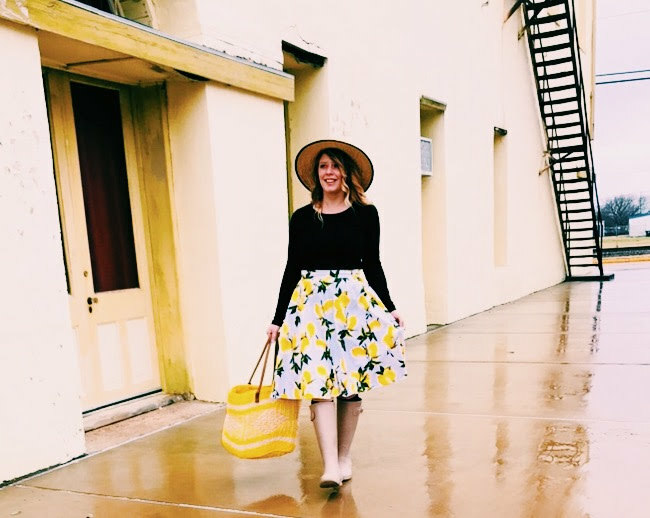 I added one of my favorite straw hats with a feminine touch! 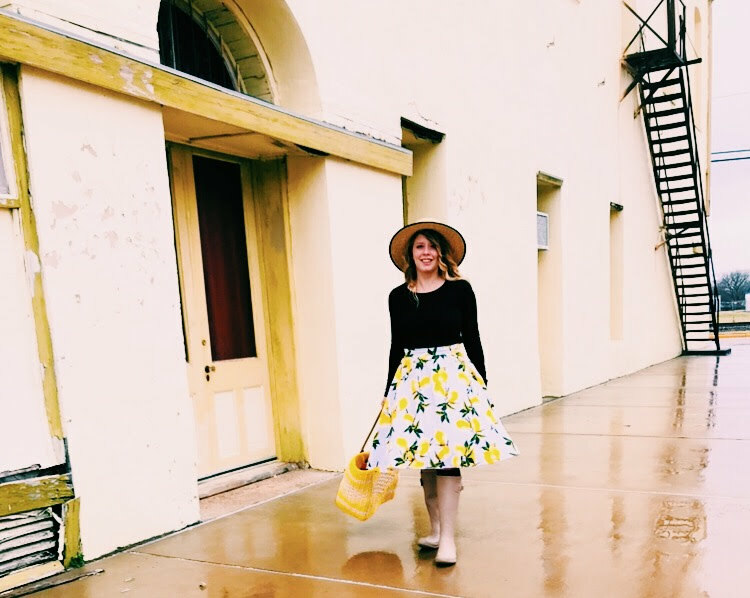 If you are looking for some more Rain Style check out this page for more looks!